Do you live in Defuniak Springs? DeFuniak Springs is a city in Walton County, Florida, United States. The population was 5,089 at the 2000census. 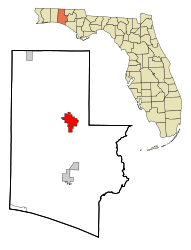 It is the county seat of Walton County. Nickname(s): "Partnership' Planning' And Preservation "